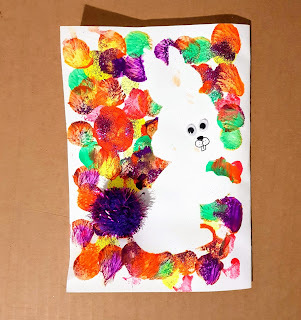 Cut the bunny and paste it loosely on the card. Paint / stamp around it. This is one of our first illustrations, we love it because it's both fun and educational. 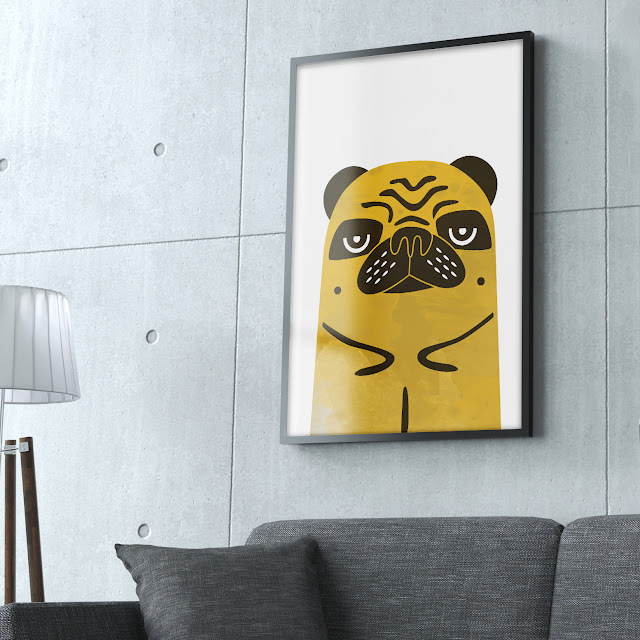 It suits not only kids but adults as well and can be a perfect gift for a new house or a kitchen renovation. 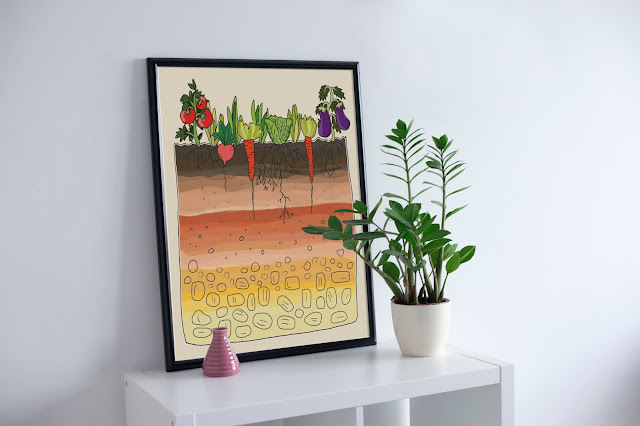 And also, what a fun way for kids to learn about the earth layers and how veggies grow, it can open a great opportunity to start a fun, educational conversation! Hey All! As I mentioned before (probably many times haha), the Solar System art piece is one of our best sellers, but I think most people know or saw it on a t-shirt or a poster, and therefore missing some of the best items (in my opinion) and best gifts on our shop. 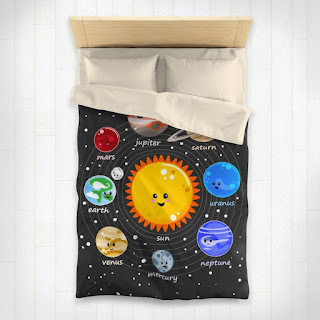 This gorgeous Solar System kawaii duvet cover is the perfect gift for space loving kids. 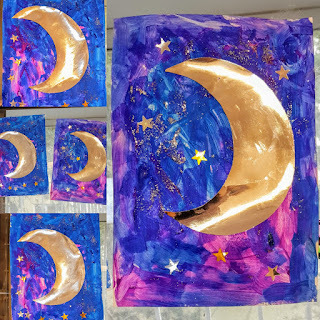 If you're designing a space themed kids room, this item is a must! Fun, cute and educational and most important so unique, you won't find it anywhere else. These cat shower curtains are the best way to upgrade your bathroom design with a low budget. 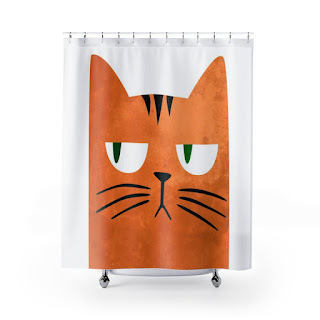 Make this cat shower curtain your bathroom centerpiece and you're all set! And in case anyone was wondering (probably not) - there are 2 versions because I foolishly thought my 1.8 year old would like to paint as well. lol. I ended up making one of my own haha. - Moon of your choice - I made this out of a mirror like paper I found. - Acrylic night colors (or any other type) in blue, purple, pink shades. 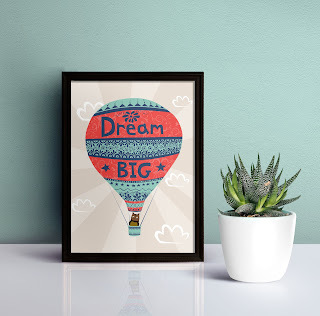 One of the most searchable nursery art is our Dream Big quote and the hot air balloon illustration. We actually have several illustrations of many different products so I thought I should make a short list of my favorites! Lets stars with our best seller- this hot air balloon nursery art is decorated with many little Indian style decorations and has a little funny cat in it's basket! In blue, pink and cream- suitable for both baby boys and girls rooms. This one's a retro hot air balloon illustration with a cute raccoon in it's basket. I like it especially on this fleece blanket with a fluffy plush side. It's currently available in a large size but soon (make sure to check!) will be added in infant size as well!